For our debut at 68 Main this month we made the Christmas Sleigh Bed. 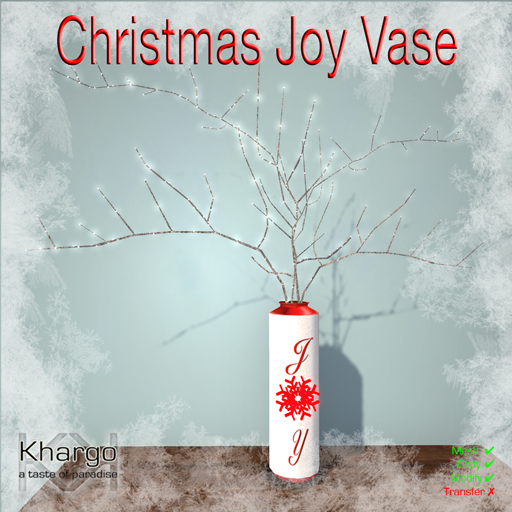 Perfect for dreaming of that White Christmas, with 2 spots for couples and singles animations. There are 54 couples and 19 single animations included. Find it at 68 Main from the 9th December. We are also excited to be taking part in The Naughty List 2! For this event we made the Christmas Wheelbarrow with Pine, a lovely winter landscaping item. 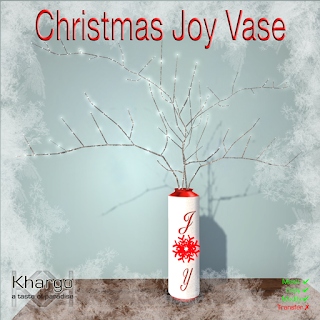 Also find our 10L gift item - the Christmas Joy Vase. Find us on the NICE side ;-) at The Naughty List 2!